Error bars are a basic chart type in ggplot and easy to execute. 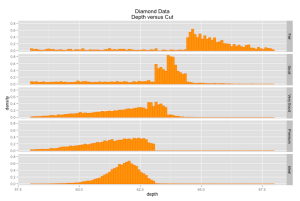 Synthetic sensor data set is created. geom_errorbar() takes the following aesthetic arguments: x axis data, ymin and ymax value data, color, linetype, horizontal bar width, and the alpha or transparency level. 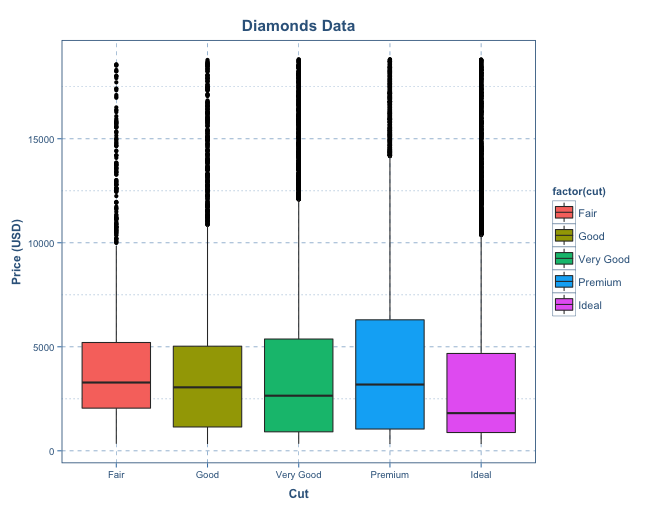 Error bars can be plotted alone or in layers with points, line and bars, as shown below. 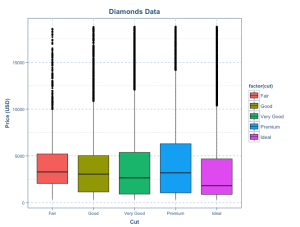 Facetting is a process that combines data sub-setting and data visualization. 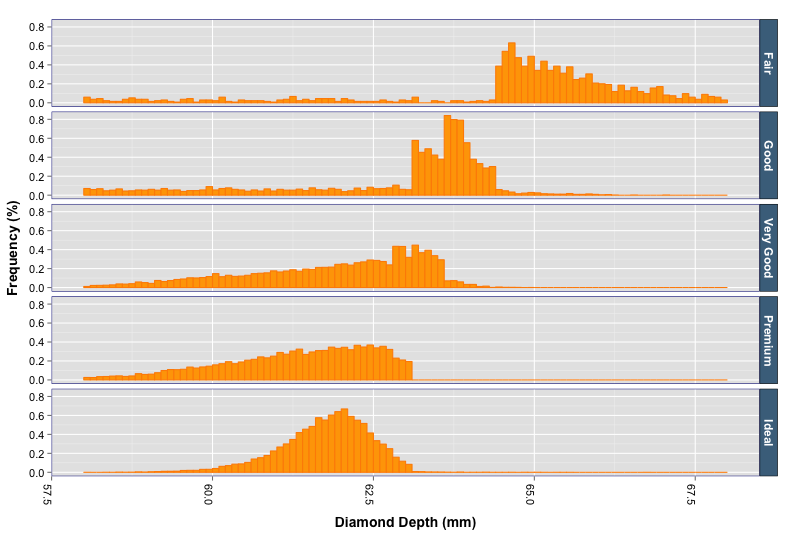 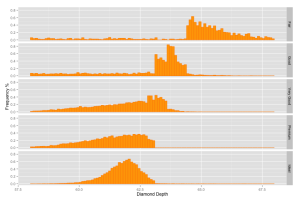 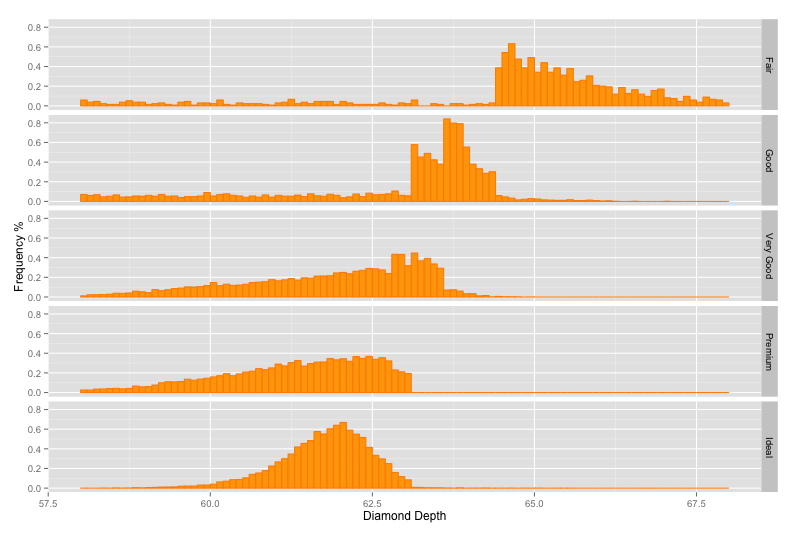 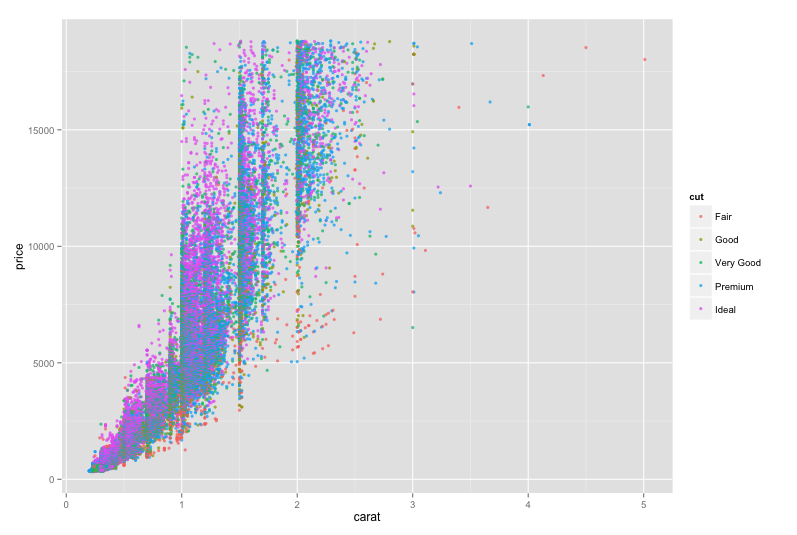 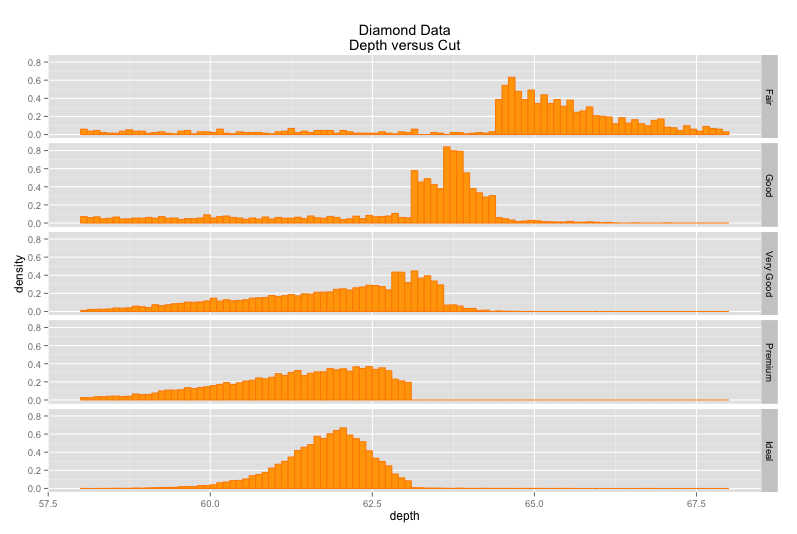 The diamonds dataset that ships with ggplot. 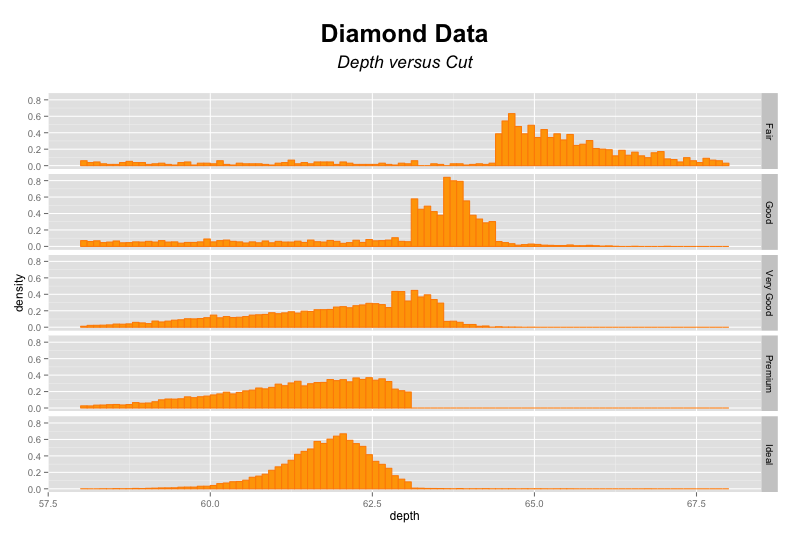 Facets are multiple small plots, each representing a slice of data. 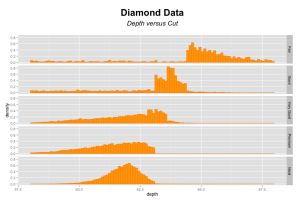 Facetting is a powerful data analysis and exploration tool. 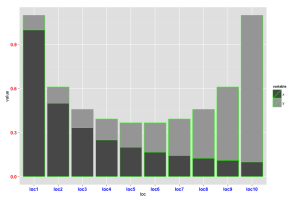 facet_grid produces a lattice grid of plot panels with basic row and column identifiers. 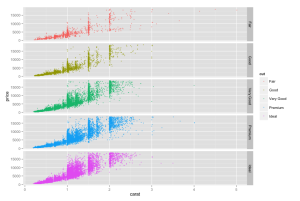 There are number of ways to control the default colors in ggplot. 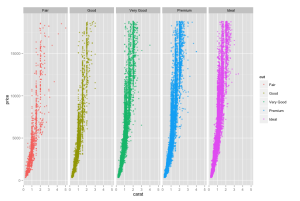 ggplot simplifies color choice with its default color selection, which are based on a “color wheel.” The result is a well balanced graphic that doesn’t draw too much attention to any one color. 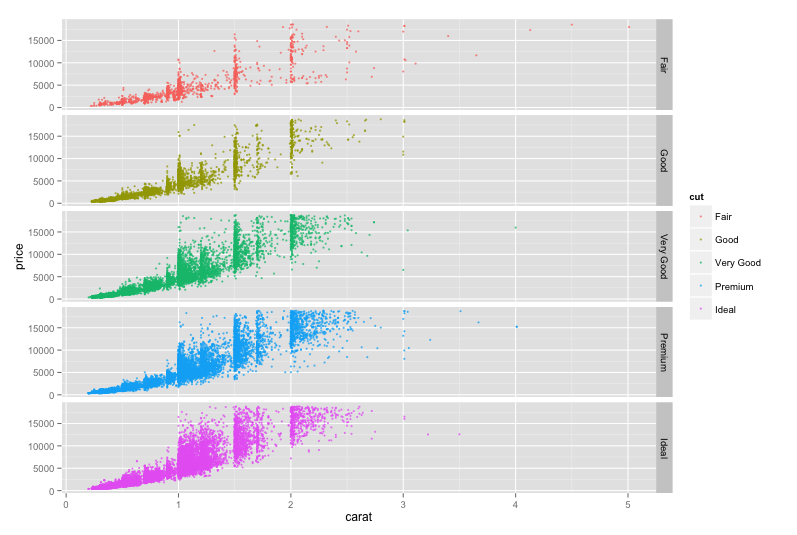 ggplot uses the HCL color wheel and the hue_pal() function from the scales package. 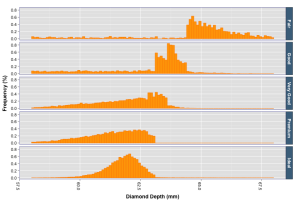 Specifically, if there are two colors, then they will be selected from opposite points on the circle; if there are three colors, they will be 120° apart on the color circle; and so on. 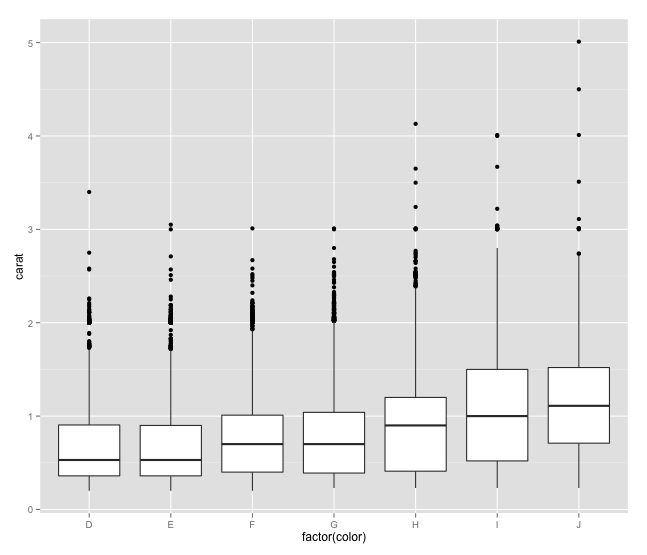 This ensure that discrete data has maximum contrast as a function of the number variables present. 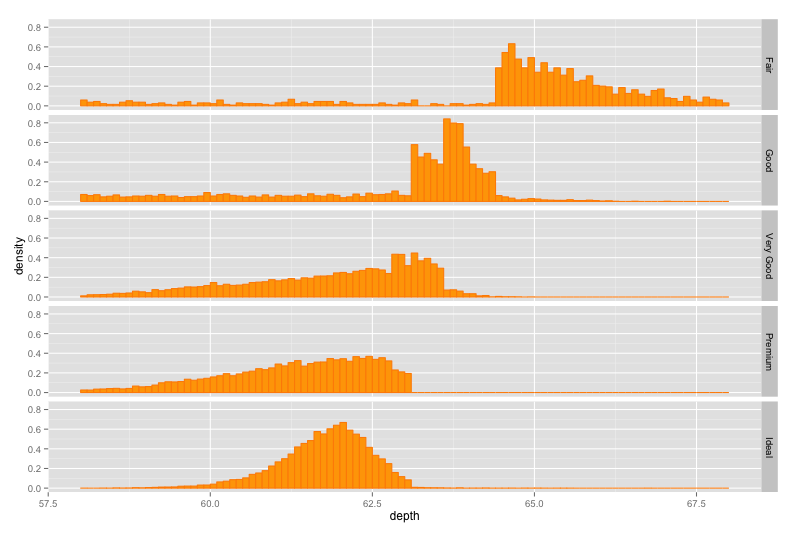 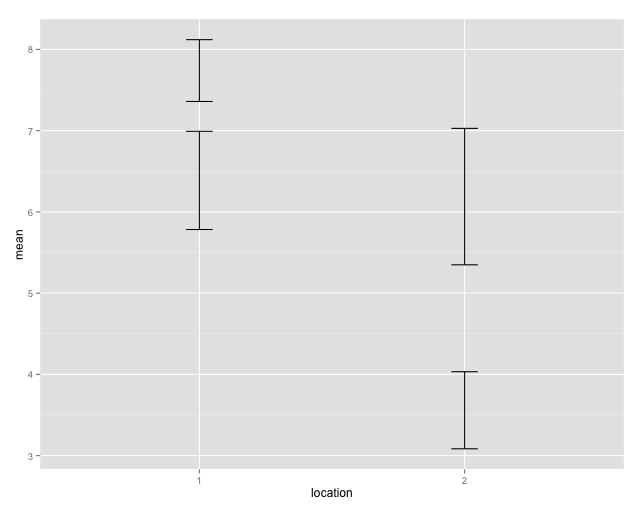 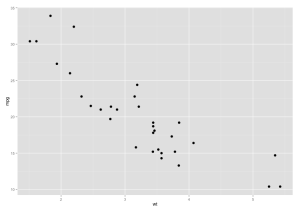 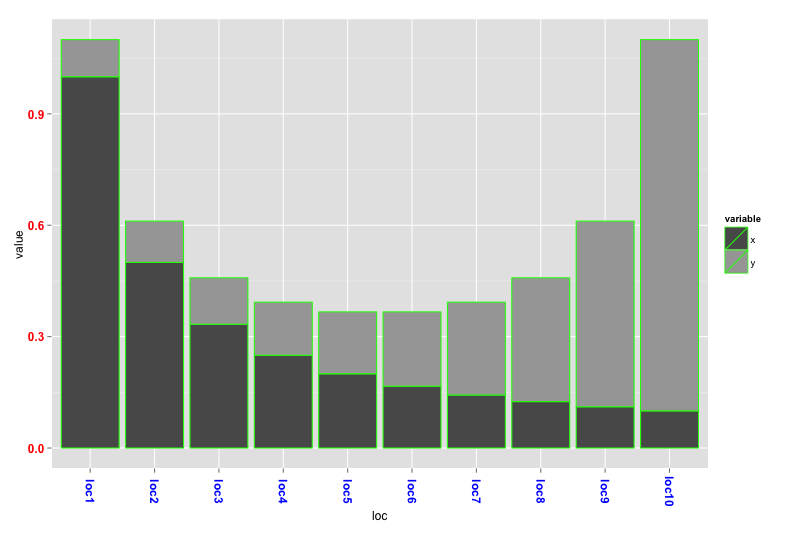 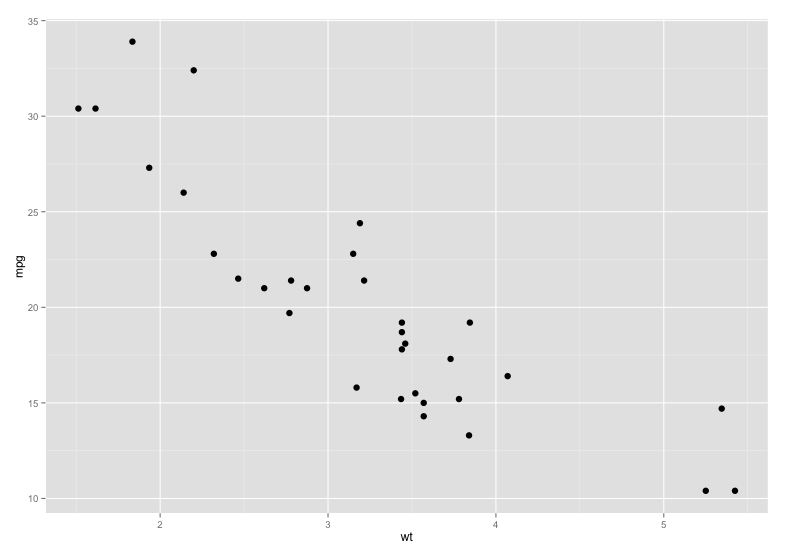 All geoms that ship with ggplot2 are listed for below. 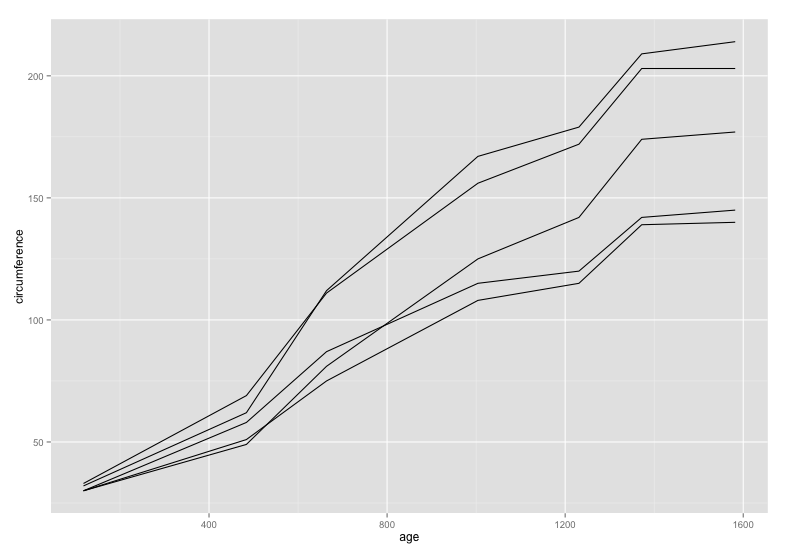 See HTML help in R for detailed argument structures and examples. 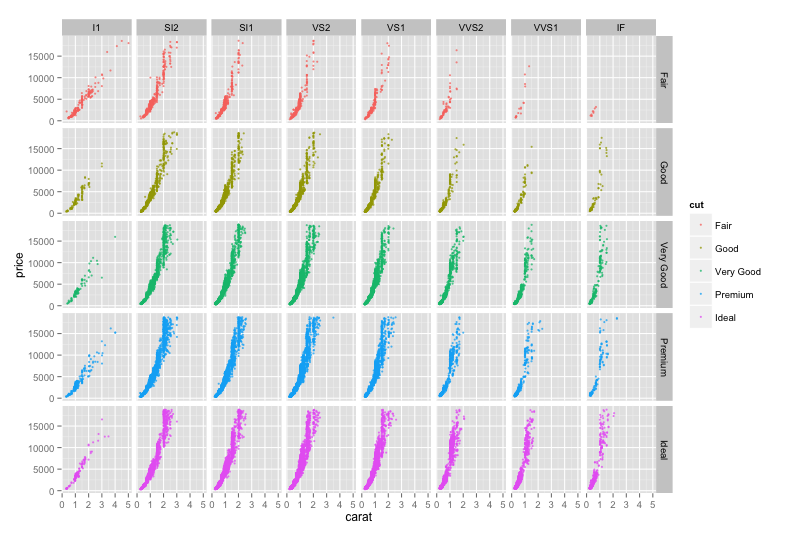 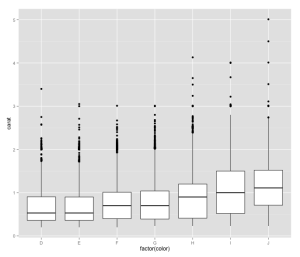 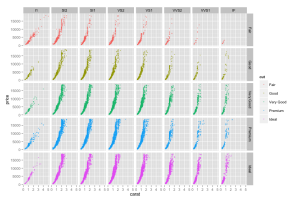 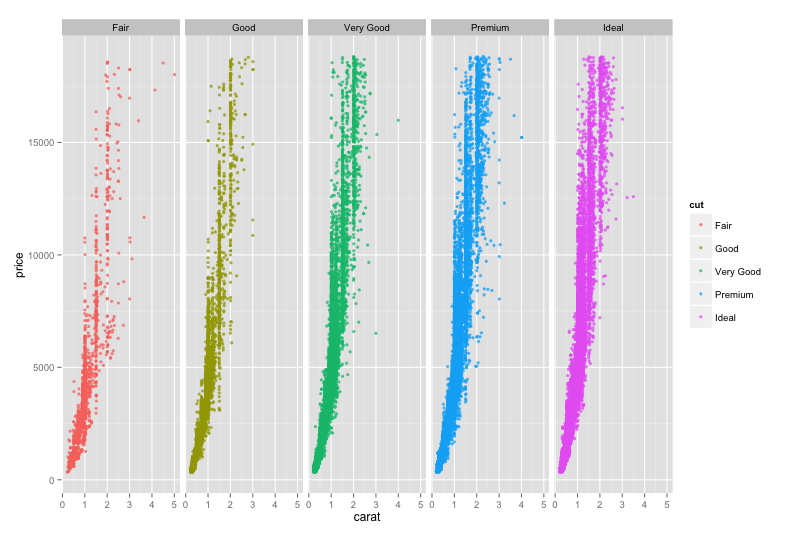 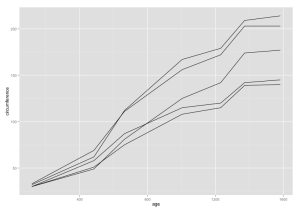 The flexibility of R graphics using the package ggplot is illustrated through a series of structured examples. 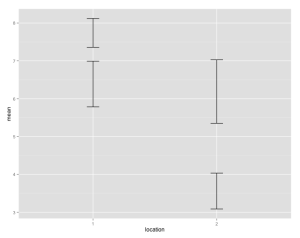 Options to control titles in ggplot are described below.